She will receive the award at the annual Association for Theatre in Higher Education (ATHE) conference on Aug. 5, at Planet Hollywood in Las Vegas, Nevada. 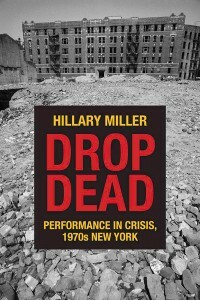 Miller’s book analyzes the performing arts through the historical movements of the 1960s and 1970s, when economic pressure forced innovative responses within the arts community to survive a fiscal crisis and resulting austerity measures. Capturing the elements that diversified the arts in the 1970s was one of the many tasks Miller accepted when compiling her narrative. “As my students discover, writing theater history can be very challenging because theater is ephemeral,” she said. “Unless you’re researching a well-funded theater with extensive archives, it’s difficult to stitch the pieces together to show its rich diversity. But it’s those hard-to-research theaters, like street theaters, that often articulate something unique about the city,” she continued. 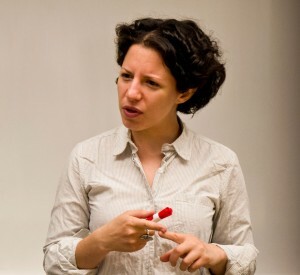 Miller’s book is one selection in a series from her publisher, Northwestern University Press, which put together a list of books “focused in particular on the material conditions in which performance acts are staged, and to which performance itself might contribute,” according to Northwestern’s website. Miller says her book should appeal to an audience interested in cities in general, while focusing on how the arts helped to shape the constructive identity of a municipality constricted by staunch monetary regulation. “Drop Dead” is available at Vroman’s bookstore in Pasadena, and other book retailers.